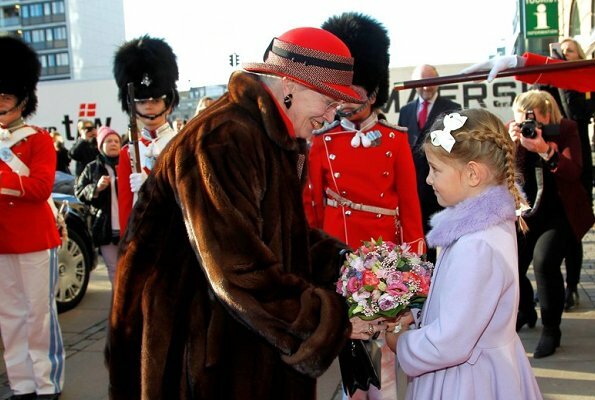 Yesterday, on January 29, 2019, Queen Margrethe attended The Royal Danish Society of Agriculture's 250th anniversary at Axelborg building in Copenhagen. 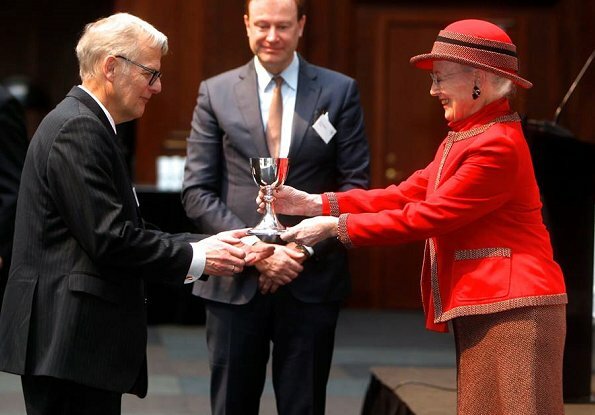 She presented a silver cup to professor and former supervisor Niels Kærgaard and Carl Åge Pedersen, who is chief consultant at Seges. 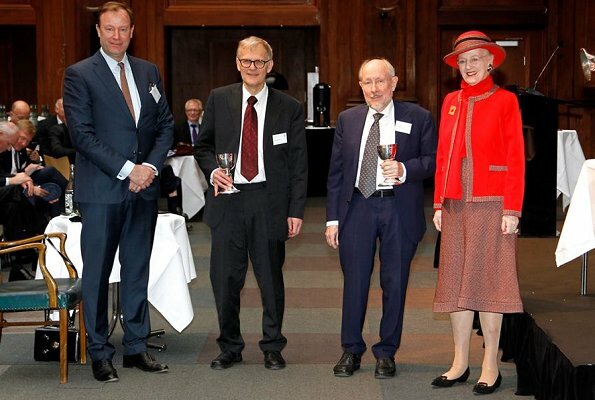 The Royal Danish Society of Agriculture (Det Kongelige Danske Landhusholdningsselskab) was founded in 1769 and they promote agrarian training and specialised and financial improvement in Denmark. She always makes me smile. So I don't care what she wears at this point. She has earned the right to just dress for Daisy! Loud and louder! The thing about her is that she has always dressed as she likes. Her comfort level. She knows when to tone it down for some events. Just love her!